It's shaping up to be a very jazzy Valentine's Day weekend, And what could be more "Love, Love Me Do" that a night of the Beatles with Connie Evingson? Part of her Jazz at the Jungle series, Connie reprises favorites from her Let I Be Jazz recording and more. It's a sell out for both shows on Sunday (2/14) but another has been added for Monday night. Another loving tribute is the 4th annual Bobby Peteson Memorial Piano Showcase at the Artists Quarter. Ask any local pianist over 40, they likely will tell you that Bobby was one of their big influences, mentors and/or teachers. He's been gone about 8 years now but his legacy lives on in the music of any area musicians (not just pianists) and annually in this showcase. Three pianists each hight will rotate through relatively short sets, playing two sets each with the "house band." Friday (2/12) hear Laura Caviani, Chris Lomheim and Tommy O'Donnell; come back Saturday night (2/13) to hear Mikkel Romstad, Peter Schimke and Jimmy Hamilton. 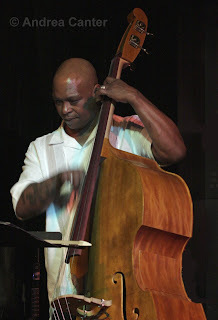 Exciting things are gong on this weekend at the Dakota (2/12-13) with the seemingly unlikely pairing of Debbie Duncan and Anthony Cox with the Regional Jazz Quartet. An ensemble of some of the most creative artists around, the band includes Bryan Nichols, JT Bates and Mike Lewis. Debbie of course can sing anything, so I don;t think these modernists will make her blink. She'll just be another instrument of invention. For Friday (2/12) I am also plugging East Side on the west side--a swinging and rather unusual quartet playing at the 318 in Wayzata. Clint Hoover is our resident Toots Thielmans, blowing a wicked chromatic harmonica with cohorts Reynold Philipsek on guitar, Matt Senjum on bass (both veterans of Twin Cities Hot Club) and Michael Bissonette juggling a wild array of percussive devices, including ankel bracelets of pistachio shells. 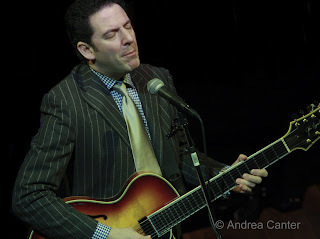 Always worth seeing in a club setting, John Pizzarelli turns up at Orchestra Hall Friday night (2/12). It won't be the same as seeing him only a few feet away, but his voice and guitar wizardry are bound to make up fo rthe lack of intimacy and likely sound distortion of the big hall. And come over to the Dakota afterwards or stick around after Debbie and Anthony and catch the Aaron Hedenstrom Quartet at 11:30. Aaron has been playing around the area with John Raymond and more, and promises to be a great addition to the local sax scene. Not quite as late, a stellar modern jazz band turns up in a rather unlikely setting, as the Atlantis Quartet takes the stage for the late evening crowd at Honey. Check out the chocolate truffle menu! A special pairing at Hell's Kitchen on Tuesday (2/16) brings Ray Charles' daughter Sheila Raye to a collaboratio wiht Vital Organ. Better make a reservation! And an unusual happening at the Dakota on Wednesday and Thursday (2/17-18) is the club debut of 82-year-old cabaret/pop veteran Marilyn Maye. She has the distinction of over 70 appearances on the Tonight Show with Johnny Carson, a recording in the Smithsonian Institute's best of the 20th century collection, and a thriving career in Kansas City. Local songstress Maud Hixson literally sings her praises. 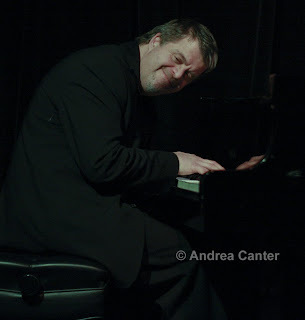 Also on Thursday (2/18), the always energetic and inventive Phil Hey Quartet takes their monthy spot at the AQ.